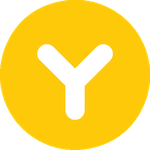 In the market for a Google Home to see what all the fuss is about or to supplement your already existing collection of speakers around the house? Then today's Best Buy deal might actually sway you to go big with your purchase by adding some lights and getting a free Chromecast. 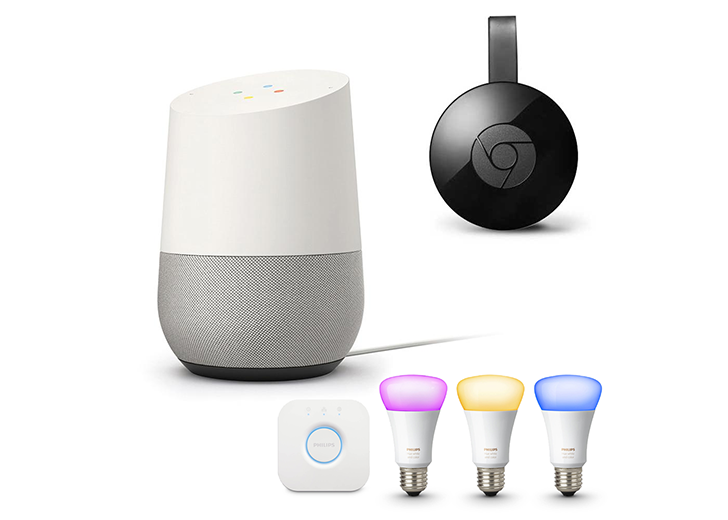 Best Buy is selling the Google Home for $104.49 (MSRP $129) and the Philips Hue White and Color A19 Starter Kit for its $179.99 MSRP (though Amazon has it for $150). 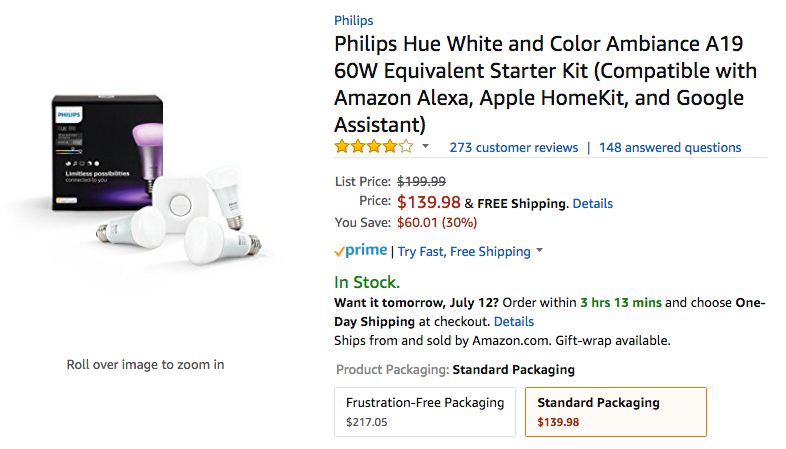 But if you add both to the cart, you will see the Home go down to $87.25, the Hue kit to $121.74, and a free $35 Chromecast will be added to the cart. Just getting started on your project to make your home smarter? If so, Best Buy may have just the thing for you. 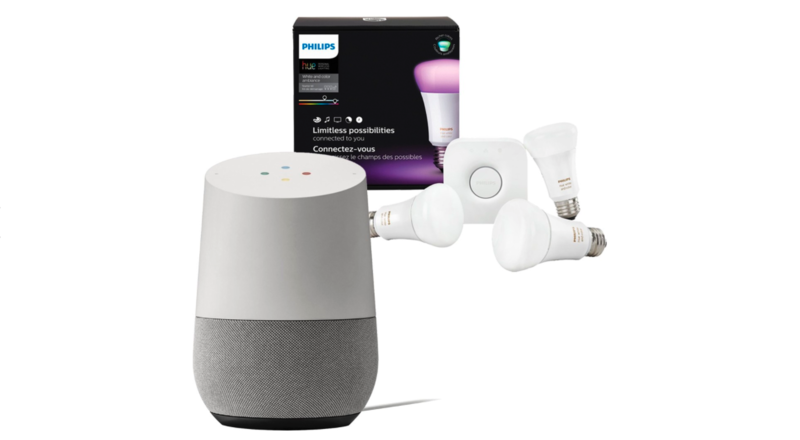 You can now purchase a Google Home and a third-generation Philips Hue Color A19 Starter Kit for just $228.99 - a savings of about $100 if you were to buy them separately. 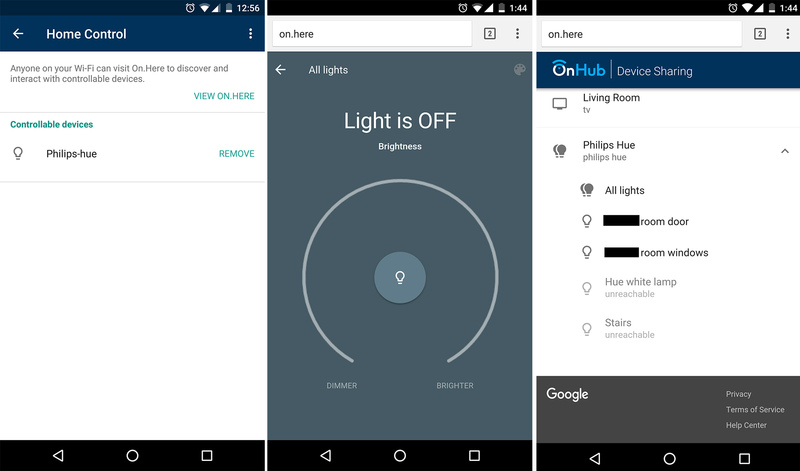 A number of users are having difficulties controlling their Philips Hue light bulbs via Google Home, the help forum for which is brimming with activity on the subject. The problem seems to manifest itself when trying to turn the lights on and off with a voice command, which leads the Google Assistant to respond with, "Sorry I can't do that, I'm learning every day." 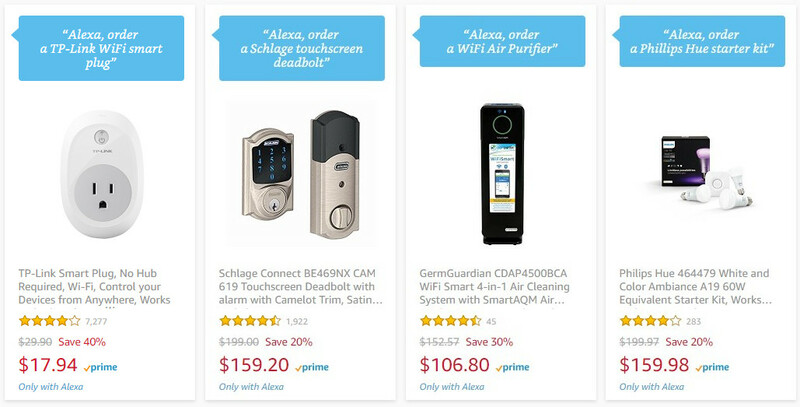 In the wake of Prime Day, Amazon is running a set of "Alexa Deals" that can only be accessed by Prime members via voice commands given to Alexa. Most of the offers are pretty pedestrian, things like gum, snacks, and batteries, but there are a few good ones our readers might enjoy. 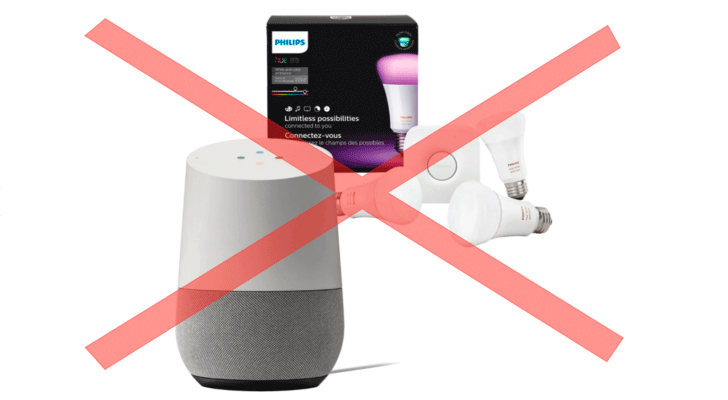 If you are interested in home automation, you can pick up a ton of stuff, like Philips Hue starter kit, smart plugs, a wireless Lutron starter kit, a touchscreen Schlage deadbolt, and more. Google is constantly adding and removing products to and from the Google Store. With the speed that tech moves along at and the amount of products that the store carries, having to dump older or slower-selling products is inevitable. 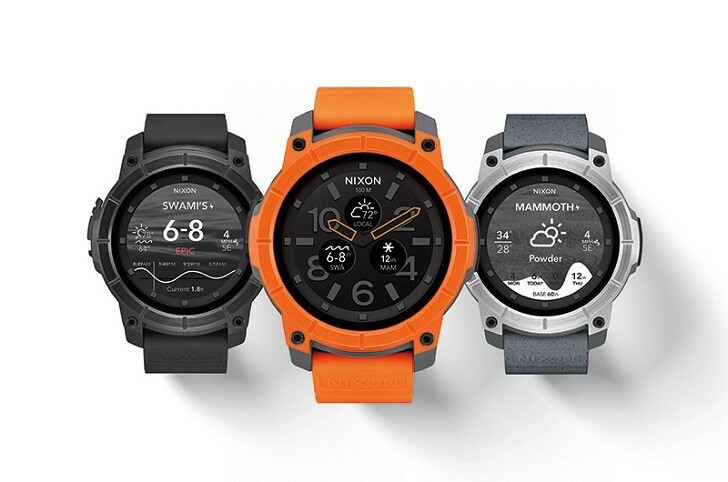 Earlier today, the LG Watch Style and Sport went up for sale (the Sport is already out of stock, by the way); now, the Nixon The Mission smartwatch and Philips Hue Color A19 Starter Kit, which made their Google Store debuts around four months ago, have been axed. Philips hue lights are already pretty cool. People can control these bulbs, which come in various colors and sizes, using a phone or tablet. That alone makes the product convenient and great for showing off. But at the end of the day, merely turning lights on and off with a mobile device and changing their colors ranks a 4, maybe 5, on the my-friend-is-a-wizard scale. To really impress people, give the Huey Android app a download, then sit guests down in front of a TV and blow their minds. 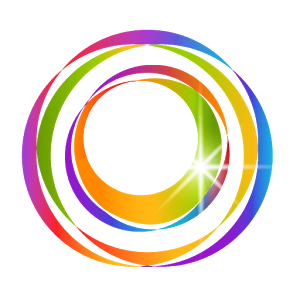 This handy piece of software links Philips hue lights up with the action taking place on-screen.